Greg has been an agent since 1990. Beginning his career as a stock & station agent auctioneer. 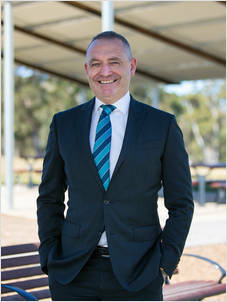 In 1998, he moved to the Hawkesbury to work with a major realestate franchise group being ranked in the top 2% salespeople in Australia, eventually becoming a partner in the business and running a successful business for a number of years. Greg took a couple of years off and then decided to get back into the industry to continue his passion and join the dynamic team at Laing+Simmons Kings Langley. With a strong work ethic Greg believes it is privilege to be entrusted with the sale of a client’s home.